Shane Snow is a science and business journalist and the co-founder of Contently, one of Inc's fastest growing companies and Crain's and Ad Age's best places to work in America. His writing has appeared in The New Yorker, Wired, The Washington Post, Fast Company, Time, and GQ. His first book, Smartcuts, has made him a highly sought-after speaker around the world on innovation and lateral thinking. 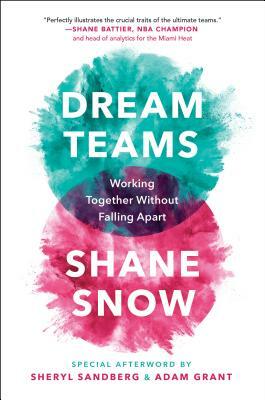 "A mesmerizing read for anyone looking to up-level their team building and leadership skills."